Preserving the environment – We renegotiated and closed the Turtle Bay deal — a landmark agreement that provides a truly great gift to our children. 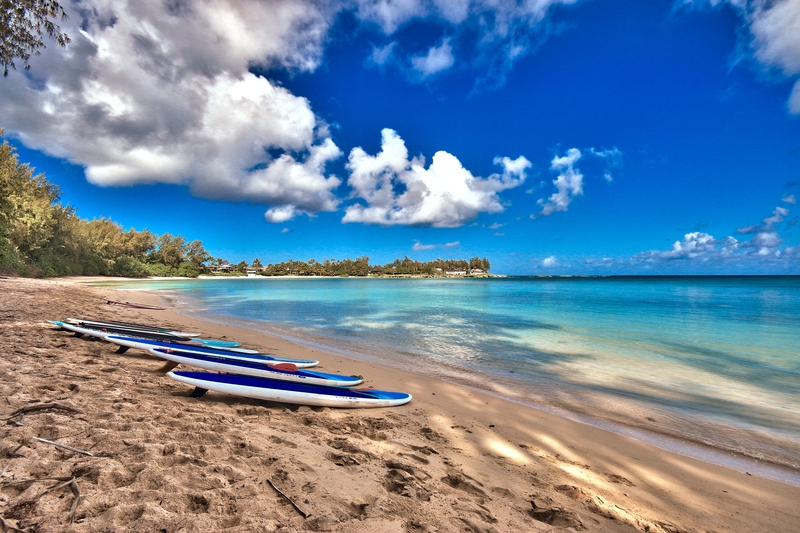 Four miles of pristine ocean shoreline and eight miles of trails are protected forever. We also restored the flow of the Hanalei River on Kaua‘i for our taro farmers. For the future, we’re developing a comprehensive plan to protect our coral reefs and shorelines from the impacts of climate change. Easing traffic – Our people spend too much of their lives bumper-to-bumper. To help, we’ve added an extra H-1 lane near Pearl City and Waipahu and embarked on the long-delayed Queen Ka‘ahumanu Highway widening project on Hawai‘i Island. Federal officials recently praised the state for reducing $100 million worth of long-standing highway projects, clearing the way for more funding. We also will continue to help the rail system move forward. Creating more job opportunities in a strong economy – One of my priorities is to focus on workforce development and improve the business climate. We’ll continue Hawai‘i’s leadership role in the Asia-Pacific region by expanding international trade and tourism, student exchange programs, clean energy agreements, and military support. To create more jobs, we received multi-million dollar federal grants, funding by the Legislature and public-private partnerships to launch new programs in high-demand areas. These include information technology and “smart grid” energy industry training and small business and community-based economic development. To support entrepreneurs and business development, the HI Growth Initiative has graduated more than 50 startups and generated more than $46 million in Hawai‘i-based venture capital for local companies. We’ve also received among the largest grants in the nation from the Small Business Administration to encourage more export of Hawai‘i products. 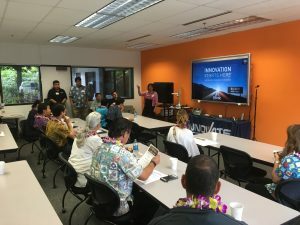 To position Hawai‘i for global film production and other creative media – Two new high-speed broadband facilities have opened with state-of-the-art connectivity. This expansion works with the Hawai‘i Film Studio, production incentives, and the state’s Creative Lab program to develop homegrown talent. For our media-savvy students, the state recently partnered with Pixar Animation and Khan Academy to field test an online curriculum, “Pixar in A Box.” Forty Hawai‘i middle and high school teachers — the only ones in the nation — are integrating the math, science and storytelling program in their classrooms and will provide feedback to Pixar in the coming years. Improving education for our children – The Department of Education reports more public school students are enrolling in early “dual credit” classes (earning college credits while still in high school). I appointed an excellent school board chair in Lance Mizumoto, president of Central Pacific Bank. He and I are committed to delivering more dollars directly to the schools and giving schools more control. In the University of Hawaii system, graduation rates are increasing and more than $30 million in federal grants has been awarded to improve Native Hawaiian student success. Palamanui, the long-awaited campus in Kona, opened in fall 2015. Also, XLR8UH, a launch pad for innovative ideas from UH teams, received $425 million in grants and research funds last year. Improving health and well-being – We have talked for years about managing our rural health care facilities and how to curb the growing losses. 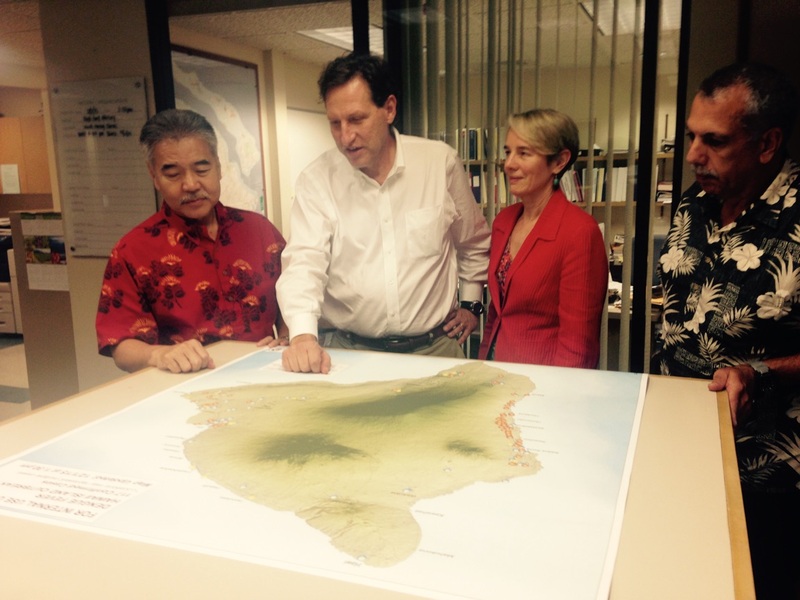 Now, we are moving forward to transition to a new private health care delivery on Maui. The Department of Health also completed a Hawai‘i State Hospital Master Plan for improved mental health treatment. Building a better energy future – We remain committed to a 100 percent clean energy future. That includes declining to go the path of substitute fossil fuels like LNG. The state will continue to protect the public interest in proposals such as the one involving NextEra. Ongoing “green” initiatives include reducing energy consumption at the state’s 12 airports and making alternative energy more affordable for low- and moderate-income homeowners, renters and others. 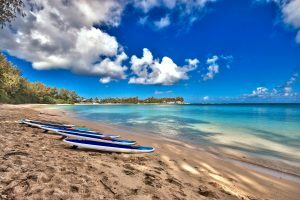 The Natural Energy Laboratory of Hawaii Authority recently completed a new $5 million technology hub for West Hawai‘i businesses in marine science and clean energy. The Ocean Thermal Energy Conversion plant — the world’s largest — on Hawai‘i Island was also dedicated. Top image: The landmark Turtle Bay agreement protects in perpetuity 665 acres of open lands at Kawela Bay on O‘ahu’s North Shore. Middle image: Legislators hear about job growth in Hawai‘i as part of a High Tech Development Corporation event at the Manoa Innovation Center. Bottom image: From left: Gov. Ige, CDC representative Dr. Lyle Petersen, DOH Director Dr. Virginia Pressler and Hawai‘i County Civil Defense administrator Darryl Oliveira examine dengue hotspots around Hawai‘i island.